Apple gives you a small case to keep your AirPods; but this is not enough to protect your pricey pods. 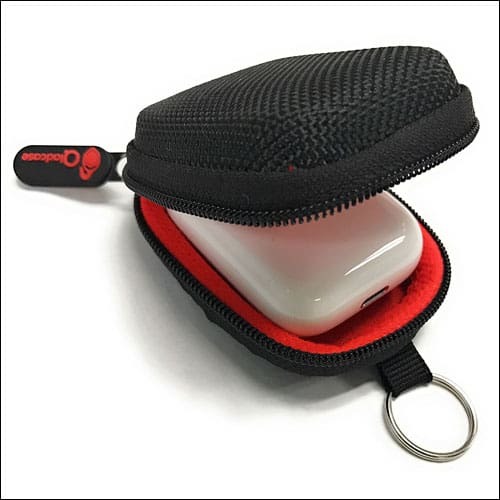 We have sourced some of the best AirPods carrying case to keep those precious pods protected. Check this list and buy the best carrying case. AirPods carrying case is another instance of “accessories supporting accessories”. 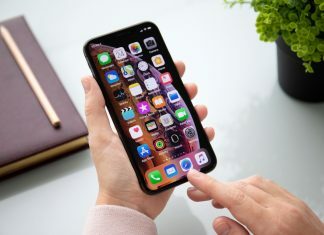 When iPhone 7 and 7 Plus were launched, Apple introduced AirPods for the first time as it removed 3.5mm headphone jack from both the smartphones. Shortly after this, Spigen launched AirPods strap wire cable connector to keep the two pods together. Following this, many accessories makers released Apple AirPods straps. And now there are AirPods carrying cases for iPhone users. These cases can safely protect the AirPods case, in which you charge your earbuds. This list includes Apple AirPods cases in multiple designs and shapes. For fashion forward users, AirPods carrying cover can be an elegant accessory to flaunt at many occasions. 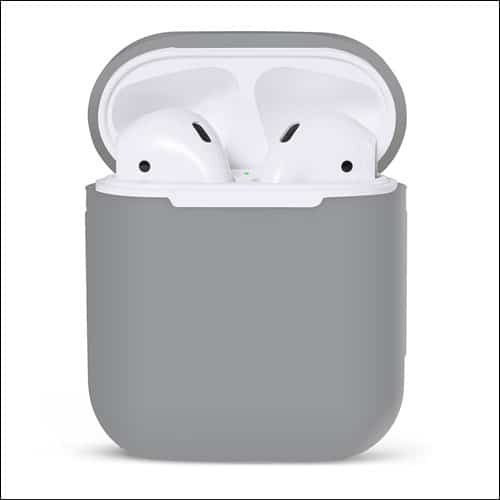 Though these AirPods protective carrying cases are new on the market, they will certainly receive warm response from users as these protective cases are highly portable. EarBuddyz presents a beautiful AirPods case in three vibrant colours: earl gray, diamond blue, and white. This original PodSkinz AirPods case flaunts minimalism in design, which creates an air of elegance wherever you go. EarBuddyz has made this case from shock absorbent elastomer that offers protection and precise fitting. The case is ultra lightweight but effectively protects your AirPods against bumps, drops, and shock. While performing all these tasks, this lightweight case doesn’t add bulk to your charging case. Qladcase offers a great carrying case for your Apple AirPods. 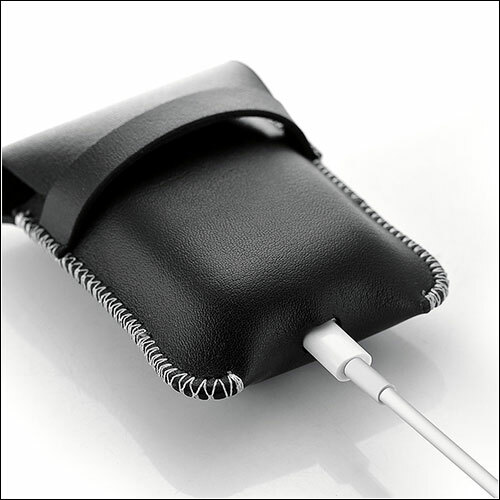 You can comfortably put the Apple AirPods, earphones or earpods in this pouch made of durable PVC material. Never forget your AirPods at home or office; simply attach this Qladcase with your keys, belt loop, purse, briefcase or backpack with a clip. Keep the case in your pocket or laptop back; it’s compact and lightweight, and therefore, you can carry this case anywhere. Check out that internal pocket in which you can put audio adapter, earbud tips, memory cards, USB drives and other small items. PodPocket’s carrying case looks like a water jug, but it accommodates your AirPods comfortably. The blazing red case has a premium key ring and a clasp, which helps you attach whatever, whenever. 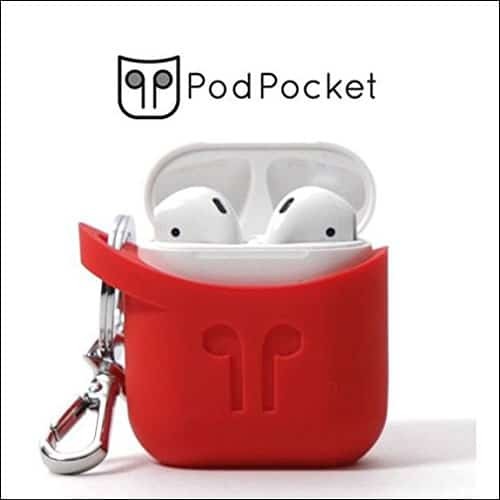 The case is perfectly moulded for your AirPods battery case; for maximum protection, PodPocket has sourced industry leading materials to craft a thick AirPods case. 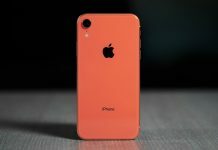 The design of this case perfectly matches with Apple’s signature aesthetics. Lunies has gone miles in search of perfection. 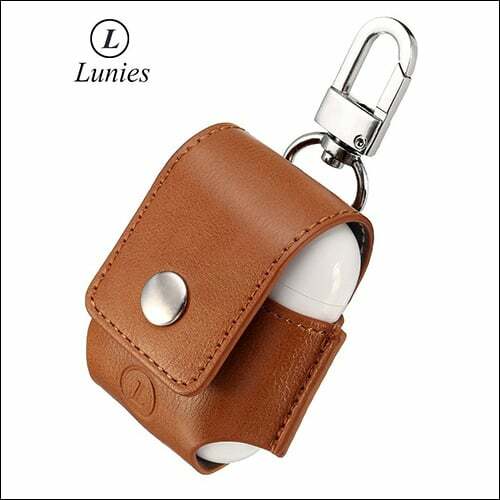 This small anti-lost leather protective cover for your Apple AirPods charging case is the best example of superior craftsmanship combined with unstinting versatility. The cover has everything an iPhone user is looking for: style, strength, and functionality. I particularly like that steel buckle which can help you tuck this cover in belt loop. The fourth feature (that I failed to mention above) is convenience. Bluelove presents highly compatible case with AirPods strap. This tangle-free strap design enables you to carry the cable easily. Moreover, you can wind the cable without having to worry about tangles or kinks. 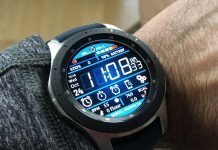 The strap is made of soft silicone material and therefore, you can easily install and remove it; it is a great comfort to wear it; it doesn’t cause any damage to your skin. Users can hang this strap around their neck, and keep one AirPod in or keep in your pocket. 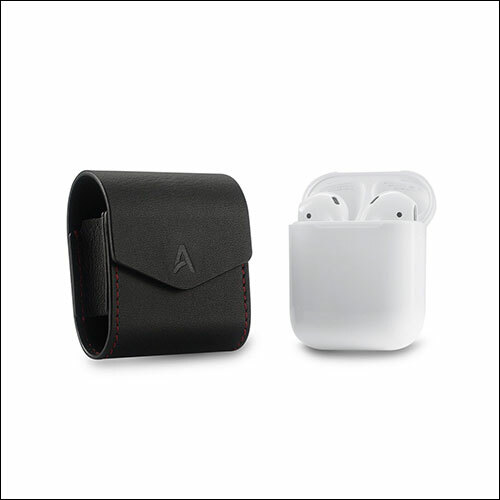 AHASTYLE presents a case for your Apple AirPods; this case is made of high quality cowhide leather with micro fiber cloth. The slim and stylish profile of this case captures your attention immediately. About its functionality, this case is equipped with a magnetic closure, which allows you to use the case fast. You can access the charging port and back button comfortably as the case boasts precision in fitting. The cowhide leather is minimally treated and this makes all the bags different from one another. You will enjoy its unique character and shade. While using this case, keep it away from dirt and other acidic elements. 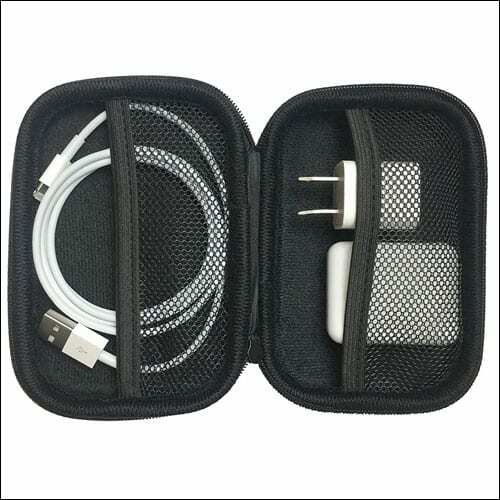 Mission Cables provides a multipurpose AirPods carrying case for iPhone users. This case has got space for everything you need for your AirPods; this is the reason it gives space for power adapter and lightning cable so that you can charge your AirPods. The design of this carrying case is so beautiful that it has become an essential travel accessory for users. Its exterior is made of durable and water-resistant material; while the interior is made with soft material. 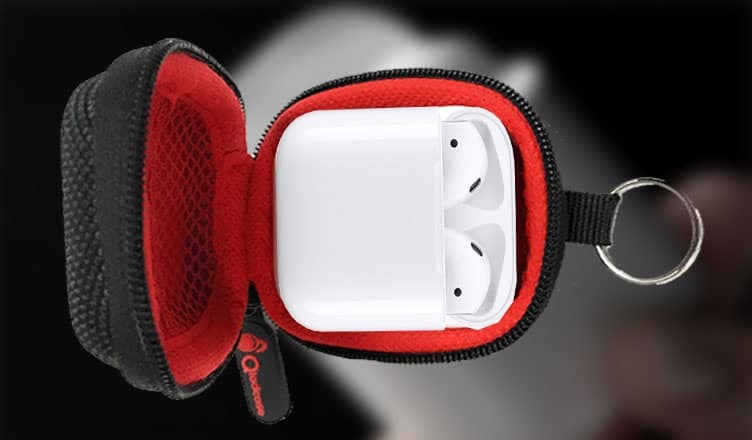 DURAGADGET brings innovative Portable Protective Case for Apple AirPods; this case boasts a slim black and red design. 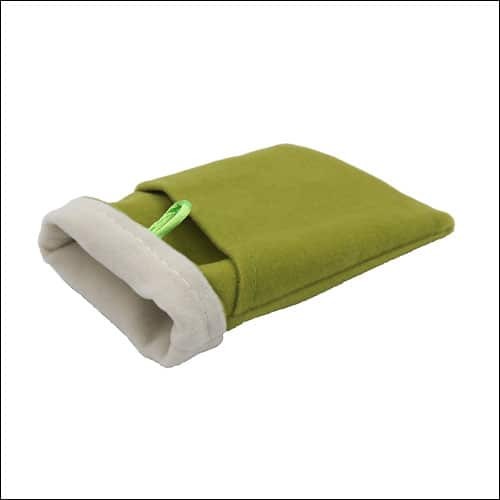 You can quickly reach out for your AirPods, which are secured in this beautiful pouch. As this case is compact and lightweight, you can easily carry it with you; you can even put this case in your pocket. 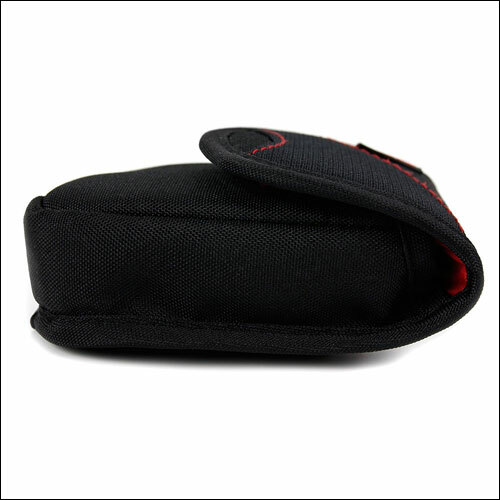 Use its belt loop to attach the case with your belt and enjoy hands-free carrying while driving, walking, or travelling. Its robust Velcro strip gives quick access when you need it and a firm closure. 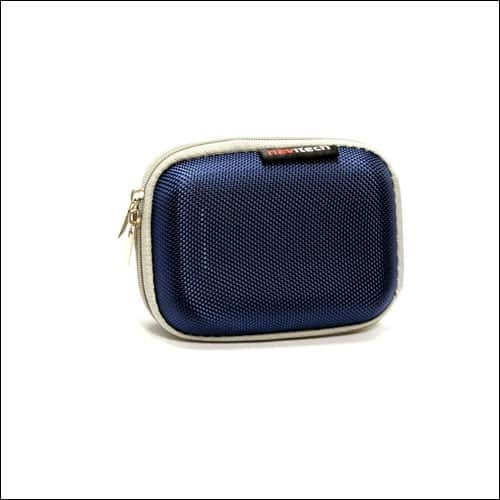 This pouch is made of high quality polytex and formed into a partially rigid protective shell; its water resistant material can protect your AirPods if you are trapped in rain shower. Navitech gives you 100% shockproof and water resistant AirPods carrying case that boasts climate defence technology. This keeps your Apple AirPods protected in the severest conditions. If you are living an active life, you should buy this Navitech case to protect your AirPods from damage, falls, scratches etc. Its polyfiber design offers full protection and maintains a slim uniformed profile. 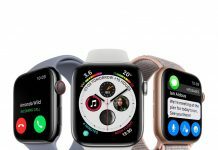 @ccessory brings a product as unique as its name. This case can easily become your style statement wherever you go. The bag is made of soft flannel material to protect and pamper your AirPods. For your convenience, you can attach this pouch with your backpack or any other bag by a metal clip. Which carrying case are you going to buy? And why you want to buy that? Share your feedback with us on Facebook, Twitter and Google Plus. You can write your comments in the section below.